During my Stanford University research visit, I have had the opportunity to familiarize myself deeper with design thinking which in general seems to be a mindset that anyone can be a service designer by following a process for conducting the socio-technical design thinking in practice. The process starts with talking to potential customers in order to empathize with the customers’ problem. After that, the problem space is defined. Then, the designer ideates for example by brainstorming, after which a prototype is built and tested with the customers. In practice, the design thinking process is iterative and requires quite some effort from the designers, even though the process sounds straightforward and simple. I have been wondering how design thinking researchers understand co-creation, which is a more familiar concept to me than the design thinking concept. In fact, I just submitted a co-authored conference article to EPOC 2016 conference (http://www.epossociety.org/EPOC2016/). The article discusses a case study on the co-creation of a digital service for facilities management in a construction project. In the article, co-creation takes place in the social interaction between the service suppliers (sub-contractors) and the customers (facilities management). Co-creation is reciprocal; both the service suppliers and the customers receive value. After reading a few articles on design thinking, I have come to the conclusion that design thinking researchers see co-creation as part of design thinking. For ‘design thinkers’ co-creation is about involving people in the creation of new service solutions to the problems faced by people. I totally agree with this definition of co-creation. Next, I will shortly summarize the main findings of the EPOC article. In the article, we describe a process model for co-creating digital services with and for facilities management (FM). The model consists of three sequential activities: 1) dialogue, 2) trust building, and 3) co-creation. The dialogue is enabled by co-location and early and continuous involvement of project parties and the FM teams’ constructive feedback during project meetings. The dialogue is also enabled by having FM team members that have both construction and FM experience, and having a liaison who delivers messages between the FM team members and other project parties. Trust building requires that the project parties provide the FM team with access to meeting schedules and minutes. Trust building also necessitates that the FM team possesses empathy skills and understands the project’s decision-making structure. A person with empathy skills was considered to be patient, well-spoken, collaborative, and able to understand the views of other project parties. Co-creation is enabled by a shared understanding of the business needs of FM and the sub-contractors’ ways to satisfy the needs. Also, costs risk assessment and the transparency of actual costs of the design solutions were considered essential elements in digital service co-creation. Lavikka, R., Lehtinen, T. & Hall, D. (2016) Co-creation of a Digital Service with and for Facilities Management in a Construction Project, paper to be presented at the Engineering Project Organizations Conference (EPOC) – Building Resilience, June 28-30 Cle Elum, Washington, USA. Time flies when you have many things to accomplish in a short time frame and the environment is inspiring. During my previous visit to Stanford in 2012, I had the feeling that I had not enough time to process all the information that I received and ideas that I came up with during the visit. So during this research visit, I have been keeping a research diary of “all” my activities and “important” thoughts. I think that without a diary, I wouldn’t be able to remember all the events I have attended and all the ideas that are worthwhile to implement back in Finland. I think the research diary has also been a great tool to show myself that my research has progressed, even though it doesn’t always feel so after a day of only transcribing interviews and reading other people’s journal articles. Figure. My ’lunch view’ from the Y2E2 building. At least here in the busy, almost hectic, environment of Silicon Valley and Stanford University, a researcher has to balance her/his time between conducting research (sometimes lonely reading and writing) and networking which usually means attending highly interesting lectures and seminars, company visits, and discussion panels. I don’t know if I have found a balance, but somehow I have managed over the last two months to both conduct research and meet many inspiring and ambitious people representing either academia or industry. Figure. 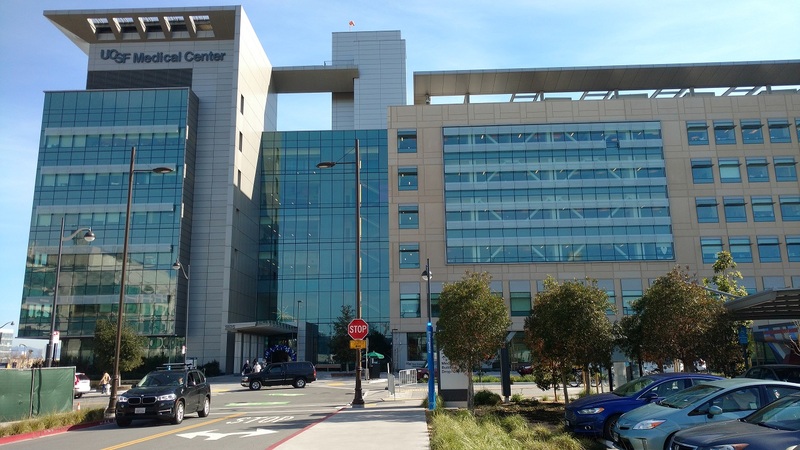 The writing of the EPOC 2016 conference paper required analyzing a bunch of interviews and conducting a few more at the UCSF (University of California San Francisco) Medical Center at Mission Bay. Figure. The Sather Tower which is a campanile (bell and clock tower) on the University of California, Berkeley and the School of Engineering. In March, during the heavy rains of El Ninõ, I visited Berkeley University to meet Professor Iris Tommelein and other research fellows. Professor Tommelein offered a lunch at the Faculty Club which is marketed as “an internationally recognized architectural landmark of the Craftsman era” (http://www.berkeleyfacultyclub.com/). Figure. 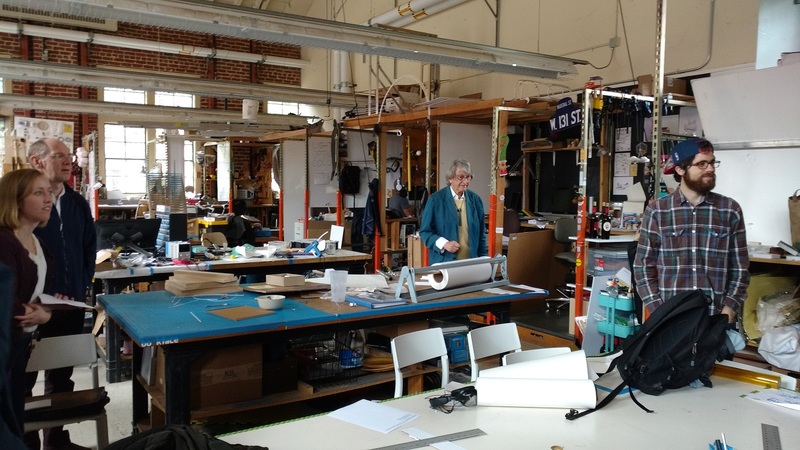 During the Design Thinking Seminar at Stanford’s Design School we visited the hands-on workshop premises of the Stanford Design Program. Figure. 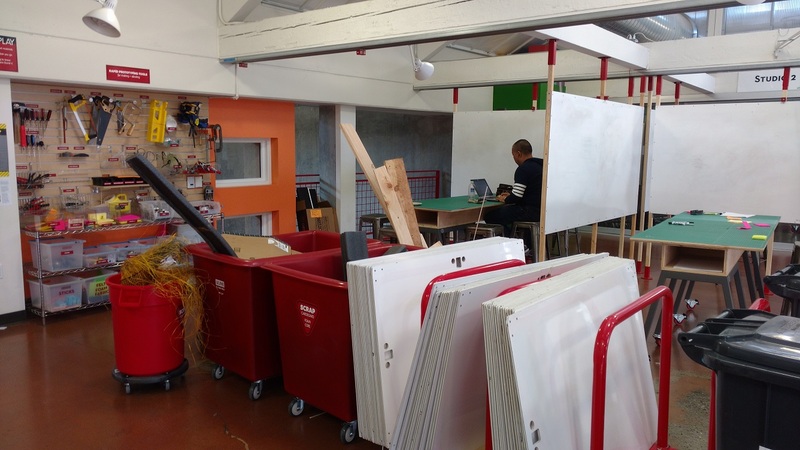 Stanford Design School’s workshop space where all the necessary tools for prototyping new innovative products and services are available. For me, one of the most memorable and educational hands-on workshops has been the Global Service Design Jam which was organized over the weekend in San Francisco. After the jam, I wrote a short blog post where I compare the Service Design Jam with the AEC Hackathon: https://www.linkedin.com/pulse/comparing-global-service-design-jam-aec-hackathon-rita-lavikka. The organization of the service design jam could also be compared to the concept of a sprint. The sprint is a kind of get-together of people over a short period of time. I think a sprint is an ideal way to work in today’s hectic world since it helps people to focus on the task at hand, helps to move from an abstract idea to a prototype, encourages fast decision making, and allows the production of something concrete. Figure. 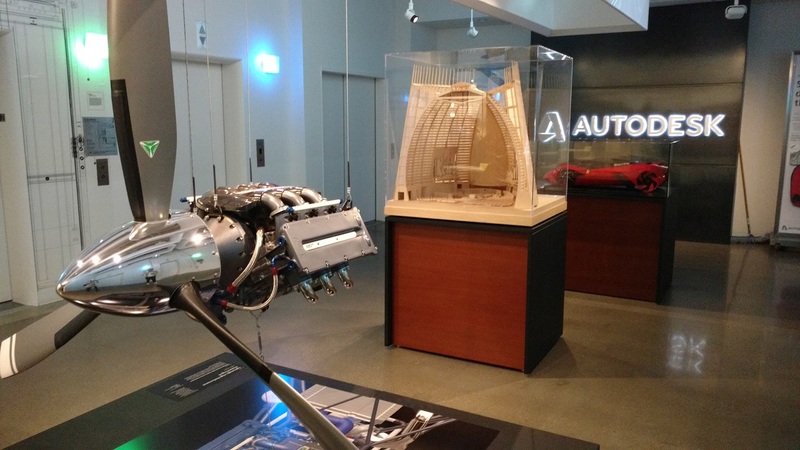 The Design Night at Autodesk Gallery was also a good learning experience because it focused on the history and future of robotics which is of great interest to me (https://edge.org/conversation/john_markoff-the-next-wave). As all researchers, I have also spent a lot of time in reading journal papers, blogs, and booklets. I wrote a short blog post where I summarize the path towards a more productive construction sector: https://www.linkedin.com/pulse/path-towards-productive-construction-industry-rita-lavikka?trk=prof-post. The summary is from a booklet written by Torben Biilmann. It has been great to experience the California school system as parents of two boys that go to Kindergarten and 2nd grade. Parents are expected to support the school in many ways. I haven’t had that much time to participate but my husband has helped the teacher. I have had the pleasure to help my kids to make 20 Valentine cards (both boys had to make 20 cards) and help them do English vocabulary exercises and math. Also, I have enjoyed seeing that my kids have been able to sing in English in the Spring Concert and receive the Newcomer award. Generally speaking, I think my family has quite well adjusted to the new living environment and I hope that my boys will someday (now they are complaining about going to the school) appreciate this ‘living abroad’ experience that will certainly help them to understand that the world is bigger than Finland and that the world is full of different cultures and practices. For example, the boys just experienced a little bit different Easter when we were invited to ‘an egg hunt and potluck’ event. Figure. 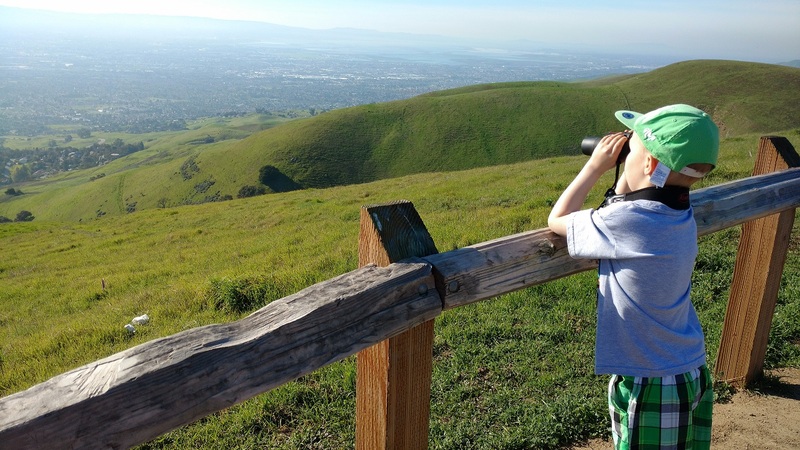 Admiring the view to Silicon Valley from Sierra Vista Open Space Preserve. Now that I am halfway through the research visit, I have started to think how to wisely use the rest of the time in Stanford and California. I would still like to do another case study of co-creation of digital services in the real estate and construction sector but I am not yet sure whether that plan will work out. Ideally, I would be able to compare two cases of co-creation and write a journal article but that remains to be seen. 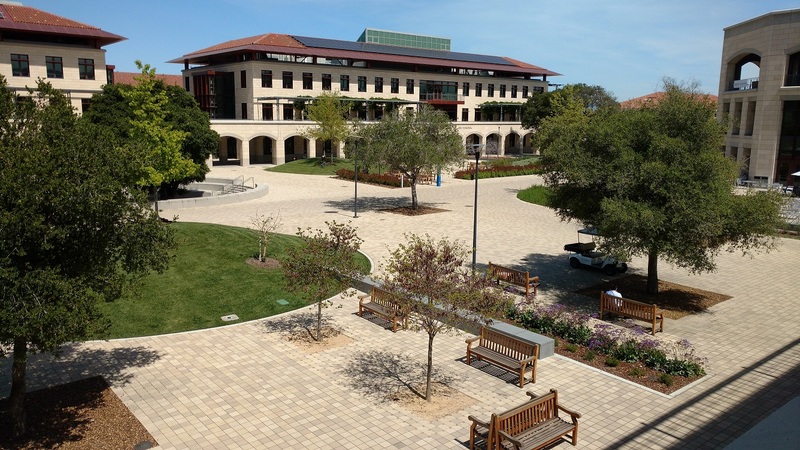 In addition, I will attend weekly research seminars organized by the Global Projects Center and the Center for Facilities Engineering at Stanford. Also, industrialized construction course taught by another CIFE visiting scholar, Doctor Jerker Lessing is worth attending. So far, I think the course has been about understanding how to embrace ‘leagile’, which is a combination of lean and agile approaches, in the context of industrialized house building. I am really looking forward to attending the industrialized construction company visits in Silicon Valley. I want to acknowledge the three institutions that are financially supporting this research visit: 1) the Finnish Science Foundation for Economics and Technology, 2) the Finnish Cultural Foundation, and 3) the Digital Disruption of Industry (DDI) research project funded by the Strategic Research Council at the Academy of Finland. I am also grateful for CIFE (Center for Integrated Facility Engineering) and GPC (Global Projects Center) at Stanford University for all the support throughout my research visit. Finally, I want to express my thanks to the Finnish Science Foundation for Economics and Technology and Helsinki Metropolia University of Applied Sciences for the great video that we created to showcase my research here at Stanford University https://www.youtube.com/watch?v=aH0D5C3dib0. Seuraava Seuraava artikkeli: Kevättä ilmassa!